Last minute weekend getaway to the beach? Don’t want a lot of hassle? The On Beyond Condo is what you’re looking for. It's quaint, comforting, and the perfect spot to relax for a few days! Make your way outside and you'll find yourself on the deck where we'll tell you to, "Look on beyond!" in which you'll see the water. Hence why we gave the "On Beyond" name to this condo. This comfy little condo holds a queen sized bed, a futon couch in the living room, a full kitchen, and a washer and dryer. It's got enough room for up to 4 guests! The kitchen is fully stocked with pots, pans and dinnerware, providing you with everything you could need to whip up a meal or pack a picnic for the beach. 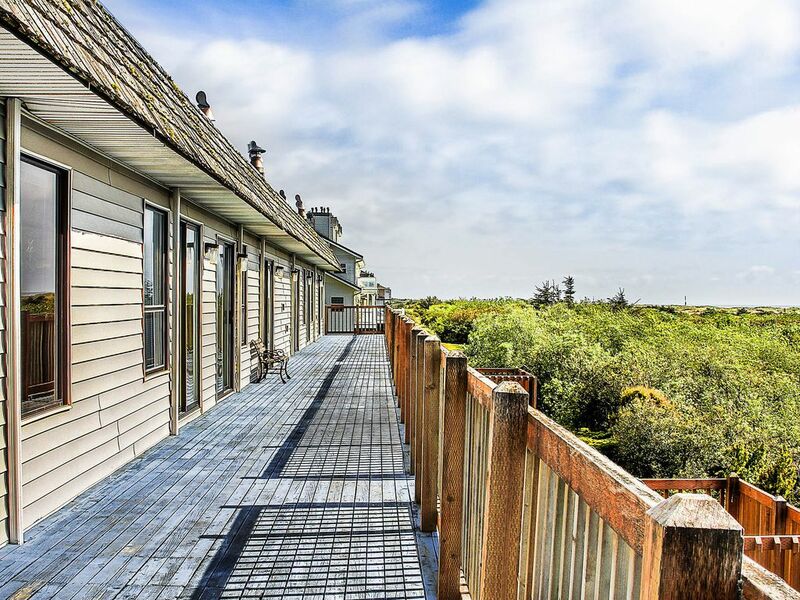 Although, it's an old fashioned condo, this place is the perfect place to shack up in for a few days if you're looking for a getaway full of seaside adventures. You'll be right off the main access to the beach, making all those seaside adventures nearby. Don't expect to spend all of your time indoors here, this condo has a couple of older televisions with basic cable and a DVD player. Rather, rent a moped and ride around town or go horse back riding along the beach front. Reminisce on your childhood and fly a kite at sunset. Visiting during the warm weather? Get ready for the best season to visit us! Rent a moped or bike and take a ride into town where you'll find the main drag. Here you'll find locally hand crafted meals served in the town's restaurants as well as boutiques filled with souvenirs to take home!